with Chinese custom and cultures. 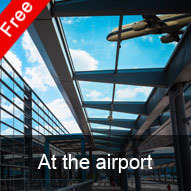 This chapter presents how to book air tickets in the airport. It is suitable for western friends who come to China to visit, travel, or for business activities. Video, images, sound, text; synchronous transmission, Media/Real/Flash, audio effects - free for you to choose. Breaking through time and space constraints, you can learn Chinese whenever and wherever you choose with a tailored pace. Our Chinese teachers have rich experience and a good understanding of foreign learners' thinking patterns; they will show you an amazing way of learning Chinese. Copyright © 2007 - 2019 www.estudychinese.com All Rights Reserved.